At Prestige we believe relationships matter. It’s the reason we went into business and the reason we continue to offer a personalised, bespoke service to our clients. From these strong relationships forged we are often asked about other services which can help our clients. Most commonly we have been asked by our clients to find people that can help them with time consuming admin that they need to have taken off their plates. So we have looked at each of the following services and found a partner whose service and ethos are aligned to ours. 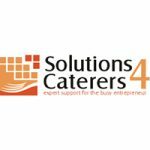 Thus, we are pleased to announce our new partnership with S4C – Solutions 4 caterers. Based on all of our dealings with our Partners, we recommend them wholeheartedly. Solutions 4 Caterers services cover Accounting, Payroll, Health & Safety and Employment. We were introduced by a mutual client who said “We love working with the Solutions 4 Caterers team”. By coincidence, and as happens so often in the hospitality industry, we then discovered we had another mutual client who said “The whole team are professional, supportive, reliable and most of all fun to work with – they are unlike any accountants I’ve worked with”. If you do not work with industry specialists, then we think you should consider doing so!